While evangelical churches are more mainstream in America, they are not considered mainline. Many evangelical churches branched off from the mainline. The Southern Baptists, the nation's largest protestant denomination, branched off from the Northern and American Baptist Churches. The Presbyterian Church in America, Evangelical Presbyterians, and Reformed Presbyterians broke away from the main Presbyterian Church, which is today the PCUSA. Anglicans have come back into the country in response to the ordination of gays within the Episcopalian Church. I await the United Methodist Church splintering over that issue and the social gospel too. The Methodists are one of the last major mainline denominations not to have a serious split, but it is on the verge of happening. For those of you wondering where Mormons are on this list, I am not aware of any Christian denomination that considers the Latter Day Saints to actually be a part of Christianity. 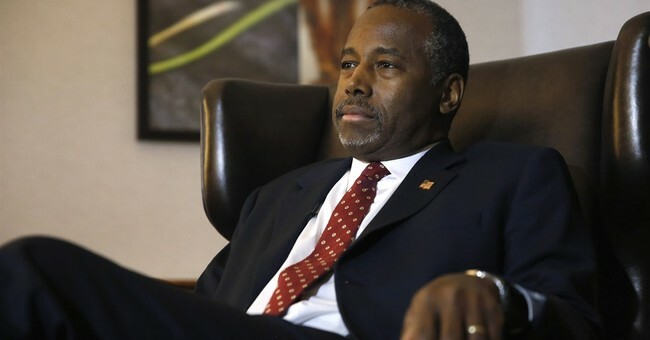 Seventh Day Adventists, which Ben Carson identifies with, were not originally within the mainstream of American evangelicalism -- all of which have European roots -- but have been accepted by evangelicals over the course of the twentieth century. Seventh Day Adventists are an American derived denomination that sprang out of the Second Great Awakening in the 1800's. Adventists go to church on Saturday, tend to believe in annihilationism, which means the damned eventually cease to exist, and supplement scripture (a key reason why they are not normally considered a part of mainstream American protestant evangelicalism) with the writings of Ellen G. White, a central leader at the denomination's founding who had had visions and allegedly had the gift of prophesy. They also tend not to be big fans of Catholics. All of this is gobbledygook to members of the press, who know virtually nothing about religion in America, but who are now going to cover Ben Carson and his faith as if they are experts. Mainline churches are more concerned these days with the social gospel, the role of gays in the church, etc. These churches are in decline. Their numbers are falling as they have replaced the actual Gospel with a modern sense of spiritualism that ultimately does not feed the flock. Evangelical churches overall are growing. The charismatic churches are really seeing strong growth. All of these churches are much more concerned with fundamentalism -- which is, like "mainline" -- a specific term. Reporters for major media outlets tend to be overwhelmingly secular and unchurched. They are most familiar with mainline denominations that are both more liberal and also dying out. That they report on American evangelicalism without any understanding of it is unfortunate, but also reality.